Thymox Footbath 1p is the new leader in dairy hoof health. It is a natural disinfectant that protects your cows every step of the day. 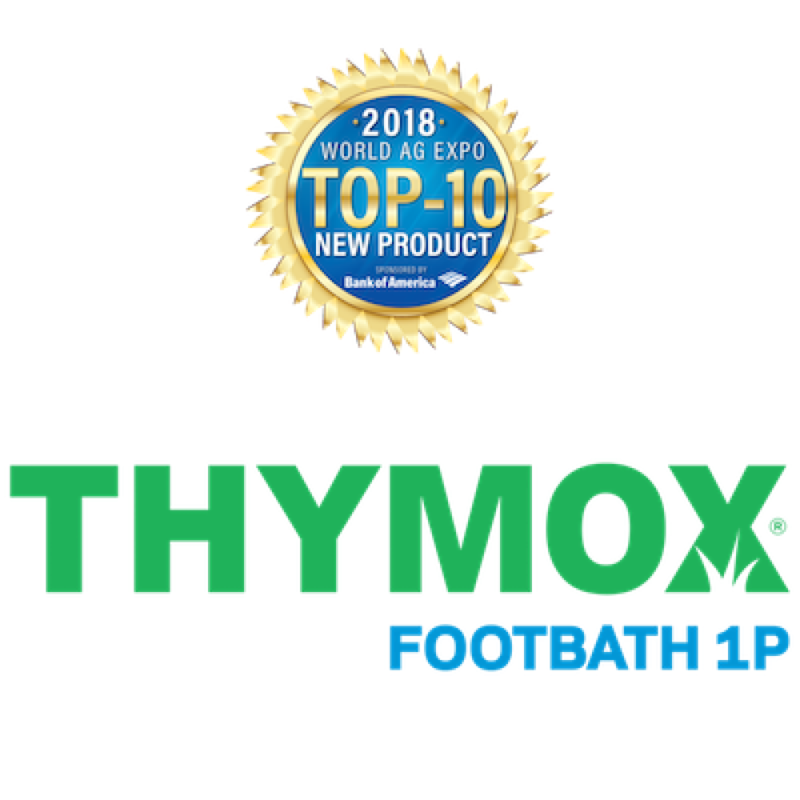 Thymox uses a different form of action in treating Digital Dermatitis than traditional corrosive and hazardous footbaths. ETI’s 2nd Step Thymox Hoof is an all natural way to protect your cows against Digital Dermatitis and Hoof Rot. It is a safe and effective alternative to copper sulfate footbaths. This product is made from Thymol, which is a natural disinfectant derived from the Thyme plant. It is safe to handle and biodegradable. Through our 3rd party University and on-farm studies, we have shown that ETI’s 2nd Step Thymox outperforms copper sulfate as a stand-alone footbath solution. However, when alternating days with ETI’s 1st Step footbath solution, you are protecting your cows every day of the week and we are seeing incredible results in decreasing lameness and expediting the time to heal lame cows. ETI’s 2nd Step Thymox is a revolutionary, new footbath product offered to you exclusively by Enviro Tech. ETI’s 2nd Step can be delivered directly to your farm in 15gal, 55gal, 275 gal packaging or in our full spectrum mini-bulk program. By using our full spectrum mini-bulk hoof health program, we will custom design your hoof health program to your farm’s exact needs. Your farm will be set up with the appropriate equipment, tanks and delivery schedule to t your farm’s needs. This program will ensure you have the best hoof care results, safe and easy handling of products, while never having to order or pick up your product. Through this program, you will also receive the lowest possible cost on all your ETI products. ETI’s 2nd Step Thymox Hoof is the safest footbath on the market. This product is made of the all-natural disinfectant Thymol, which is a non-corrosive natural disinfectant. Our blend is made of a 23% Thymol blend, this product is extremely effective in protecting against Digital Dermatitis and Hoof Rot, yet it is safe to handle, non-corrosive and is biodegradable. There are NO HEALTH RISKS associated with the handling of this product and there is NO ECOLOGICAL IMPACT on your farm. Make a step in the right direction and start using ETI’s 2nd Step Thymox Hoof today.